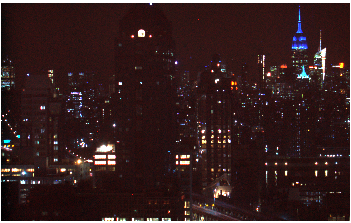 Hypertemporal visible imaging of an urban lightscape can reveal the phase of the electrical grid granular to individual housing units. In contrast to in-situ monitoring or metering, this method offers broad, persistent, real-time, and non-permissive coverage through a single camera. Rapid changes in the phase of individual housing units signal changes in load (e.g., appliances turning on/off), while slower building/neighborhood-level changes can indicate the health of distribution transformers. This method could be applied to better monitor electricity consumption and distribution in developed and developing cities. 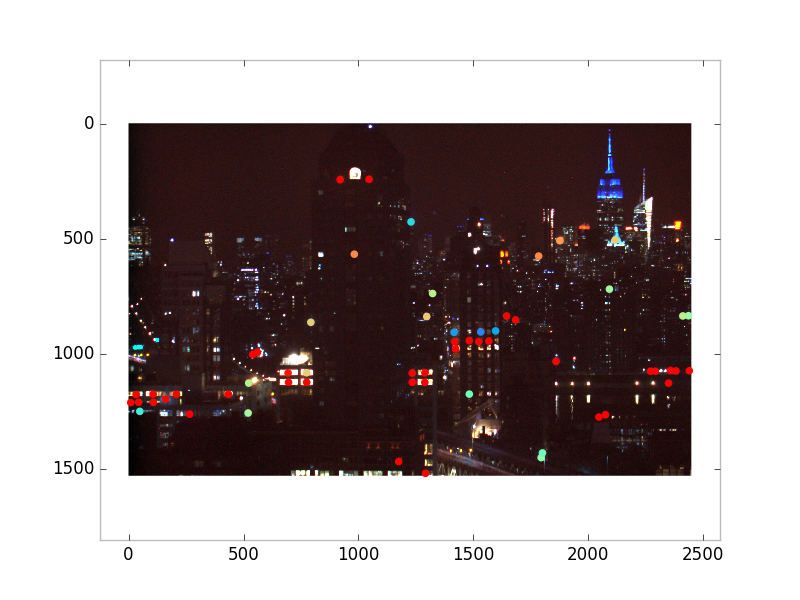 We image an NYC lightscape at 4Hz while running a shutter at 119.75Hz to generate a 0.25Hz beat frequency of the original 120Hz flicker of lights. The flicker is the rectified 60Hz oscillation of the input AC current. Phase changes in the flicker reflect changes in the load of the unit's circuit (e.g. apartment, changes occur when appliances are turned on and off). Phase changes in the original 120Hz frequency (or in the 60Hz input current), appear as phase changes in the beat frequency. 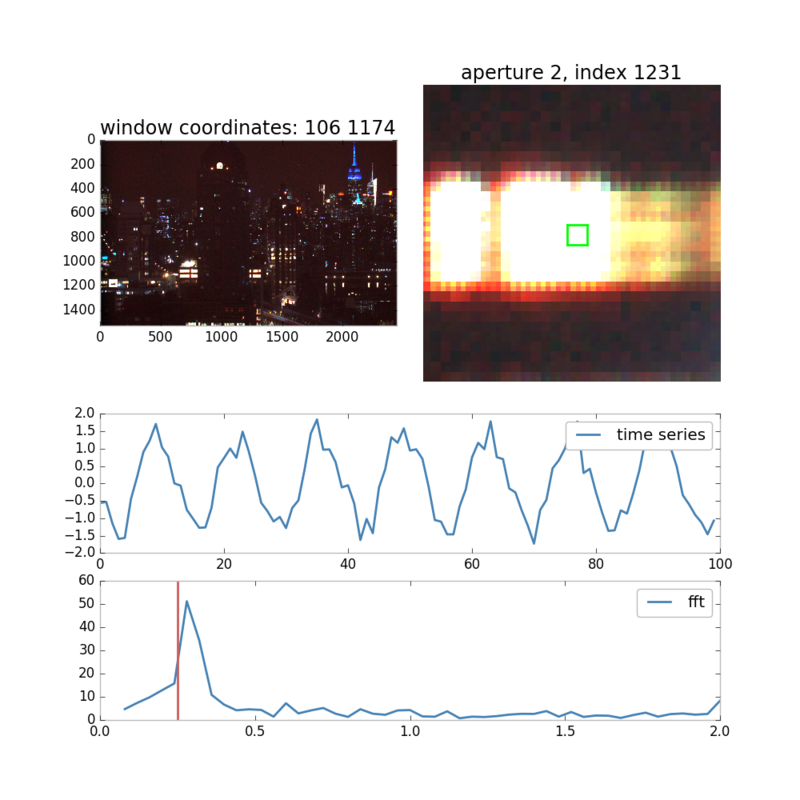 Detect windows in an NYC night lightscape. Below, the location of the window with detectable flicker (gif above) in the lightscape, its time series (lightcurve) and the power spectrum of the time series, with the 0.25Hz frequency indicated by a red line. We detect frequencies near our 0.25Hz target. 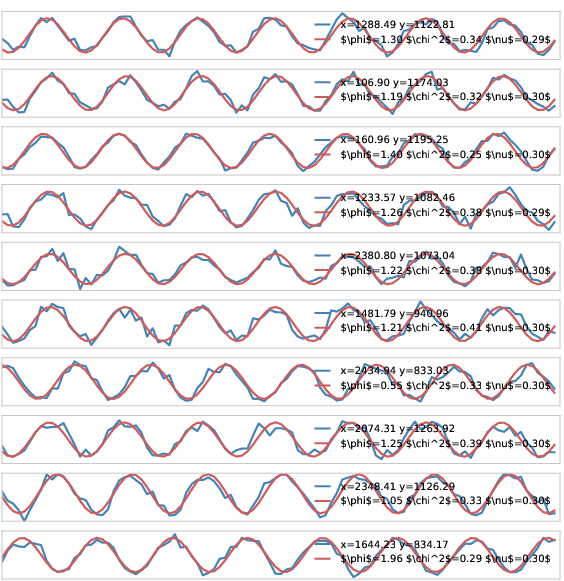 The small discrepancy (0.02Hz) is well within the accuracy of our instrumentation and of the grid frequency delivery. The first and second components are sine waves in qudrature: they reconstruct the flicker signal in which we are interested. 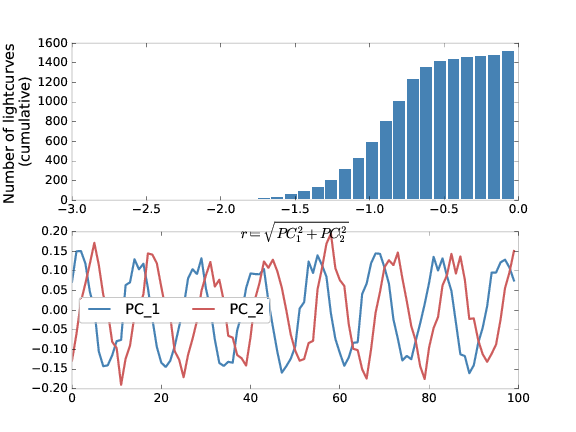 Histogram of the distance of the lightcurve projection on the plane of the first and second principal components, and the two components. Below are the PCA selected lightcurves with the sine fit to the lightcurve overplotted, with a phase calculated as arctangent(PC1/PC2) and the power spectrum. 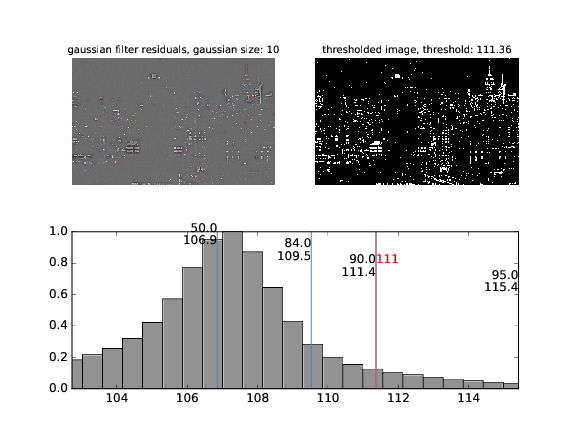 In the gif the time series are ordered by decreasing signal-to-noise ratio. 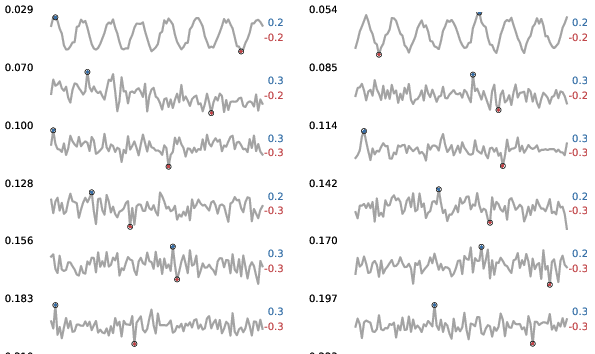 Some of the selected time series are shown further below. 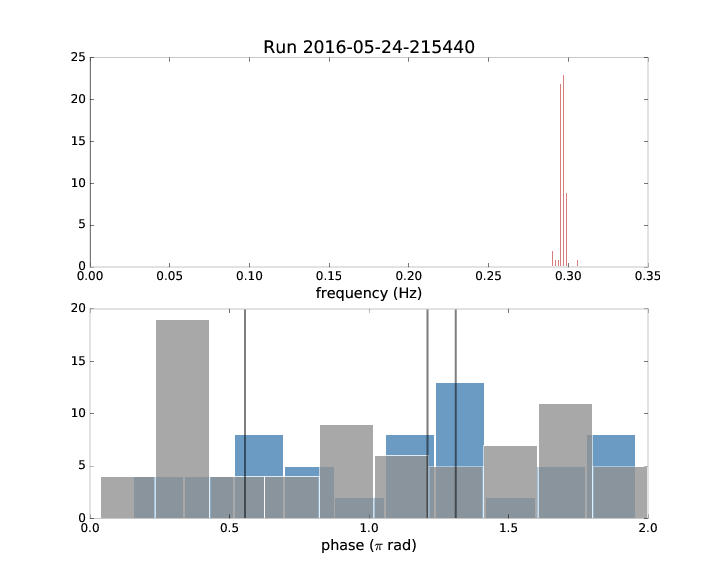 The time series cluster in phase by building, but all phases are seen in the scene. 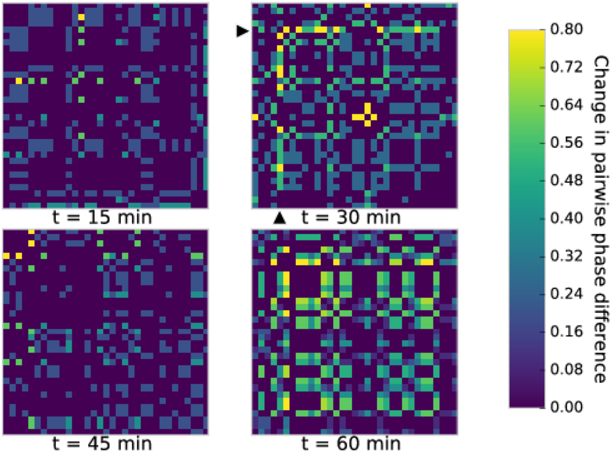 The following plots show the phases and phase changes in the lights that we selected in 5x5 min bursts of imaging separated by 15 minutes. 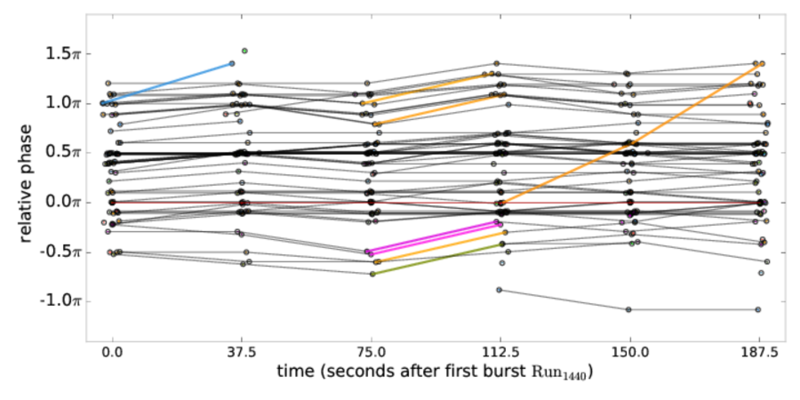 Phase evolution: phases relative to a reference-light phase are shown in their evolution within a 5 minute imaging butsts (5 time stamps separated by 37.5 seconds) and between bursts separated by 15 minutes. 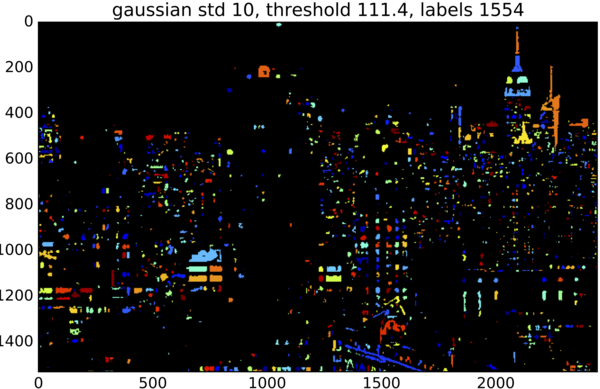 Colored lines indicate shifts larger than our sensitivity (error bar at the bottom left) and the color coding reflects the buildings distribution: line in the same color indicate windows in the same building. 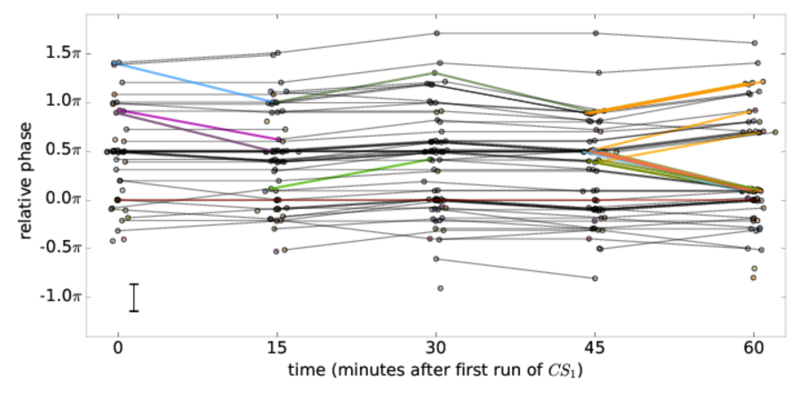 Pairwise phase offset evolution at 15 minutes time intervals. lights are ordered by building so the block structure reflects building-wide changes.